The work in fact have brought to light a Roman chariot in perfect condition, that is in addition to funeral burials with a lot of monuments, furnishings and skeletons, one of which probably belonging to a noble because there was found beside a scepter . 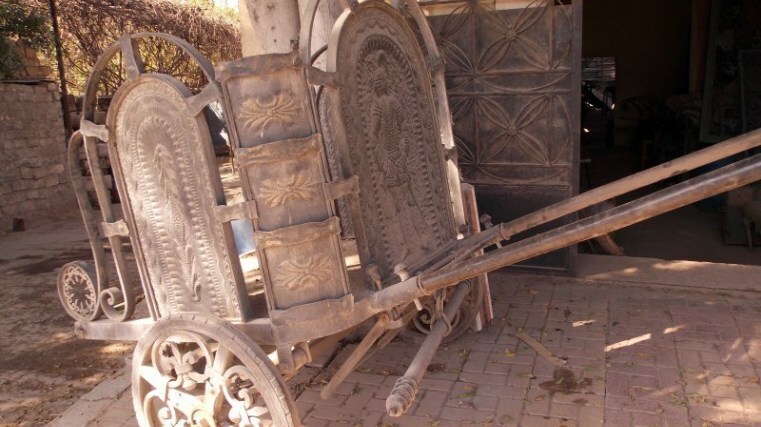 The chariot was a war chariot, used in the classical era in ancient Greece, in Ancient Egypt and also in ancient Rome. These chariots were generally two-seater and were connected to two or more horses while the chariot drawn by four horses was called quadriga. As stated by Professor Musco , the Archaeological Superintendency of Rome , about the discovery of the chariot, he says that in the world , there are only three but that rivenuta La Rustica is certainly the most complete, given the conditions almost perfect. The Municipality of Rome 7 through the vice-president Mauro Ferrari and the Prime Minister Cesare Marinucci, who lived in La Rustica, immediately started working with Professor Musco to ask for organizing guided visits for schoolchildren in the municipal area. in order to be able to admire and appreciate its high historical value. An archaeological treasure that, after more than 2000 years, once again certifies the grandeur of imperial Rome. From the Amici del Parco association and other local associations, a collection of 10,000 signatures on a petition calling for the establishment of a museum in Rome east. An idea that should be resumed in order to enhance the immense historical and archaeological heritage present in the territory.